Those of you on my mailing list will know about the new Index Checker app that I’m releasing this week. All is going to plan with that app so it should be available within the next day or two. I’ve just been improving the tool and running various tests with it hence the delay. The reason for this post though is to tell you about another product that I’ve also been working on. 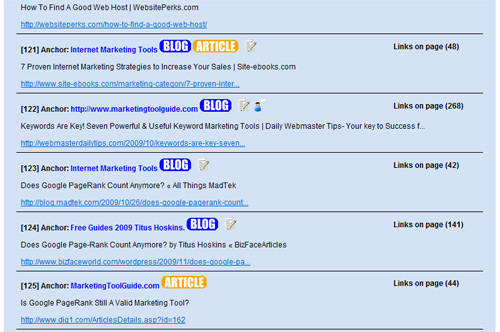 Remember my All-In-One SEO Toolbox? Well it’s been given a full upgrade. This application can now do much more than before and is able to dig deep into your keyword research and delve further into your competitors websites. On top of that it now boasts a brand new domain name finding feature. This feature enables you to quickly find LOTS of keyword rich domain names for ANY niche that are available to buy. With and without hyphens! With your choice of domain extension, ie – .com, .co.uk, .net! 1) Retrieve relevant keywords from top ranking websites. 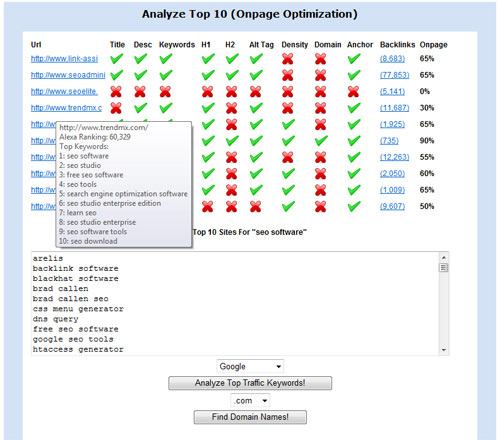 2) Enter any keyword phrase and instantly analyze the top ten sites with a single click. Stats include onpage elements, backlinks and the TOP 10 keywords for ALL ten sites! 3) New loop system that allows you to keep on digging deeper into any niche exposing all kinds of keywords. 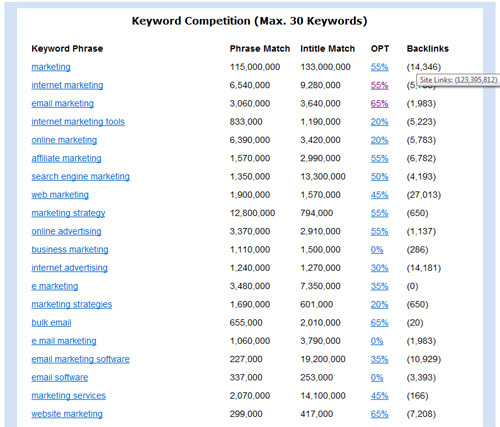 4) Generate a list of keywords and analyze the strength of the competition. 5) Quickly convert a LONG list of top keyword phrases into domain names and instantly check their availability with a single click. 6) Import keywords from Googles External Keyword Tool. 7) Analyze your competitors backlinks including anchor text, page title, outbound links and whether the page has a comments form or existing comments on it. Great for obtaining backlinks! I’m just adding the finishing touches to this application. It’s a great all round tool and is powerful in many ways but the domain name finding feature is extremely good. It’s no good taking a wild stab in the dark when it comes to finding domain names. Enter a seed keyword and click a button and the app will take care of the rest for you! For those interested in my OTHER app, Index Checker, this will most likely be available to buy tomorrow for $7. The app will come with a manual which will show you an extremely easy way of importing your urls from major web 2.0 sites and article directories. Literally ONE click. Feel free to comment below. I’d love to hear your feedback and suggestions. Will the all in one SEO toolbox help us marketers find BUYING keywords? I’ve ranked high in the serps for some keywords but they were duds-ie. not buying Keywords. Not much point in that. Andy, all this looks just phenomenal. Look forward to the launch! I can say, without doubt, that this application is something missing until now. It’s full of original research functions for any SEO and Keyword Addicts. The price is really good for the functions proposed, so I will wait until tomorrow to know more about effective release. SEO app looks very good. Will this app be able to calculate Google Avg. PR on the 1st search page for particular keyword? Also, is there any practical way to analyze 1st page website’s authority to see if there is possibility to over rank them? I had problems with the page rank function so this is something that is going to be added in the next upgrade As for finding a sites authority using domain age and the number of indexed pages, these are things I’m hoping to add in the next upgrade also. Will we be able to search for keyword rich .com, .net or .org domain names? Yes, you can choose either .com, .co.uk, .net and .org. The feature is also accessible from the ‘Analyze Keywords’ screen now so you can quickly check domain availability on keywords that have low competition (Stats). People who bought version 1 of All In One Seo, do they get a free upgrade? Yes, anybody who bought the first version will get v2.0 for free. 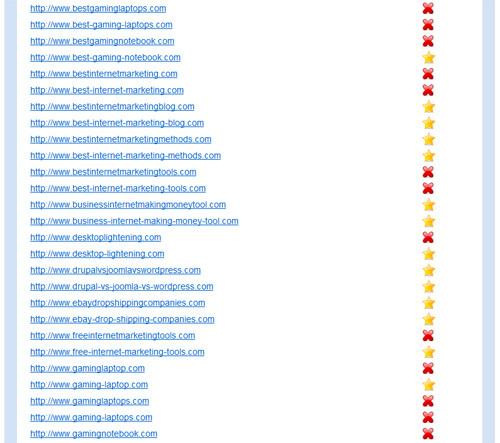 Just to confirm, the number of backlinks information that shows up is from Google, Yahoo, or some other source? Hey Ben, the backlink data is from Yahoo as that is currently the best source of finding the number of backlinks a page or site has. Google doesn’t give too much info away publicly when it comes to backlinks. Sounds good. Also, on the main screen, where it says ‘keyword phrase’ for the top 10 results, is that equivalent to using the quotation marks for a phrase search in Google ? The results it returns is for the keyword phrase WITHOUT quotes. Just the same as what people would normally type when searching for something. What is the latest version of All-In-One SEO Toolbox and how you notify users about new version? Hi Alexa, the latest version is v2. As updates are available a download link will be sent out via email. If you do not have v2 just email me your Paypal ID and I’ll email you the app. This applies to anyone who has v1 but not v2. Version two has much better features!